Google launched a new feature in the new Google AdSense user interface named "Ad balance." Ad balance lets publishers use a slider to show less ads on their sites with the drag and click of a button. 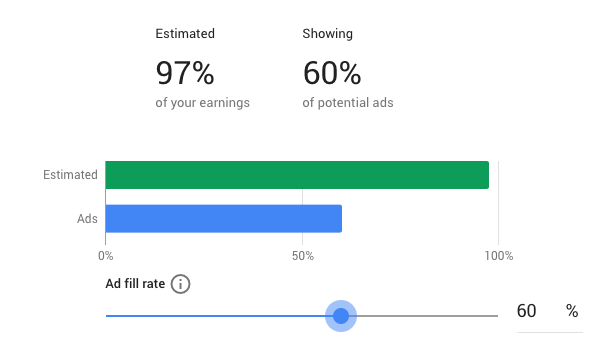 Google explained that "ad balance controls help you reduce the number of ads you show to users, specifically the ads that earn you the least revenue, and see how it affects your earnings." It shows you how it may impact your earnings and the number of ads showing. 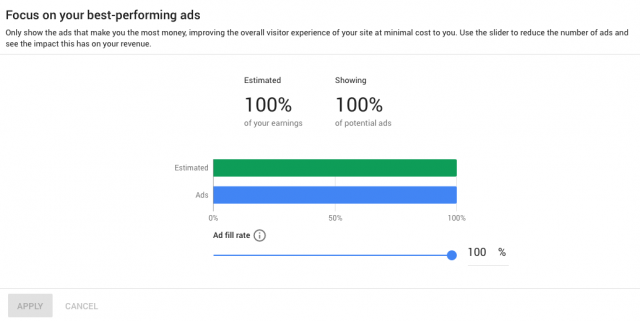 So you can see, reducing the number of ads, doesn't have an equal drop in ad earnings drop because Google is filling better performing ads first. Google has a help document on this feature over here.